The jolt of energy from a strong cold brew. Coffee is one of the most popular beverages in the world capable of producing a transformative experience for its consumers. The origin of coffee and its first use has long been steeped in legend and mystery. One such tale reports that it wasn’t humans, but rather goats who first came across this magic elixir. Sometime in the 10th century, a goat herder named Kaldi was said to have found that his goats were full of energy upon consumption of the red fruit from a coffee shrub in Ethiopia. Kaldi decided to experiment by trying the fruit for himself. After having a similar reaction, Kaldi shared his discovery with some local monks who supposedly made the fruit into a drink and from there, the happy caffeinated accident known as coffee was created. Sinatra knew a thing or two when he sang “they’ve got an awful lot of coffee in Brazil.” 40% of all the world’s coffee is produced in this South American country. In the bustling city of São Paulo, you can find the perfect brew in an array of spots ranging from al fresco patios to local brewers. For a true farm to cup experience, I recommend Isso é Café, which serves patrons the shade-grown beans harvested right from owner Felipe Croce. While most equate Seattle with the behemoth coffee chain that is Starbucks, Seattle has maintained and continued to foster the coffee scene in the U.S. This rainy city is filled with smaller independent shops as well as larger notable roasters like Tully’s Coffee. And, if you happen to be a true Starbucks devotee, you can get your fix at the original location opened in 1971 at the iconic Pike Place Market. Kangaroos and coffee – who knew? Melbourne is purported to be the unofficial coffee capital. With an emphasis on community, many of the cafes you’ll find in this city are known for their long communal tables and friendly atmosphere. For one of the better cups, I recommend the Captains of Industry. Who knows, maybe you’ll meet some mates! 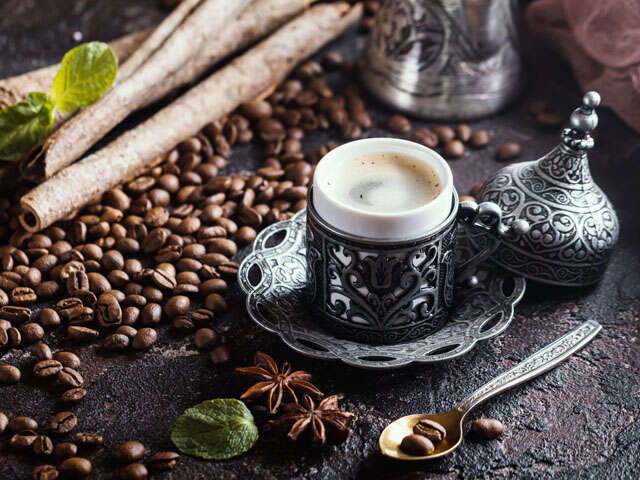 If you’re seeking authentic, Turkish coffee that’s a true departure from standard American fare, make your way to Istanbul. Baristas in this Eurasian city grind their beans into a fine meal, then boil the coffee in a vessel called a cezve. If you like full-bodied, dark roasts, you’ll be quite satisfied as you sip away. For a coffee experience with a view of some medieval architecture, venture to Galata Konak Café. I hope our coffee clues will allow you to find your next perfect cup along with a little side of adventure!